I found the Sleeping Around Pop-Up mobile hotel (please see my previous post) so fascinating and decided to dig a bit further, and found a relevant article in Design Boom on the background of its inception. I’ve seen a few similar concepts, based on using (or re-using) shipping containers as hotels, and other types of building functions, so it’s nice to see the Sleeping Around concept that marries green philosophy and low environmental impact. 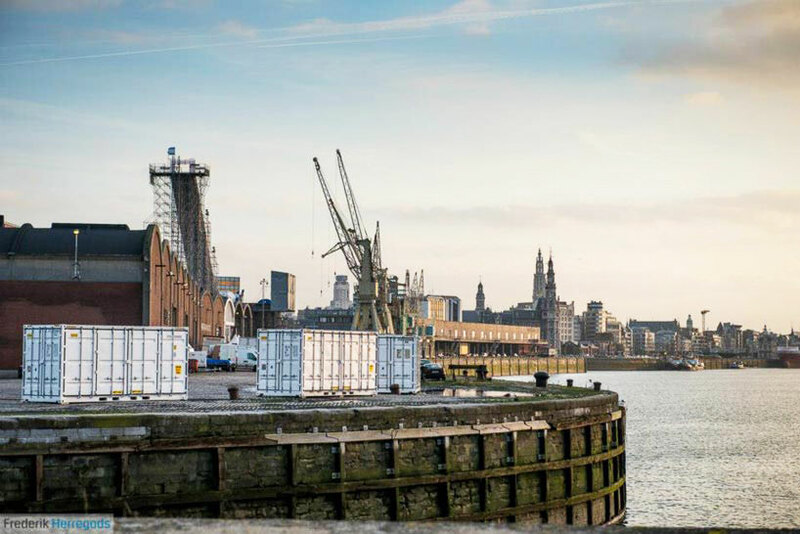 A team of Belgian entrepreneurs: Geoffrey Stampaert, Didier Opdebeeck, and Ellen Wezenbeek decided to elevate the status of shipping containers from a 1950’s stock steel crate, to a viable structural framework for architectural programs. mr.stampaert, also a restaurateur in addition to an experienced hotelier, is expanding the ideas of luxury, design, adventure, and comfort with ‘sleeping around’, a pop-up hotel the travels the globe according to user-input demand. ‘pop-up’ as a concept has long been applied to a range of events, exhibits and the like and denotes the temporary presence of a relevant, usually cultural, showcase. the fleeting nature of ‘pop-up’ phenomena often calls to mind exclusive, often surprising, specialized concept structures. 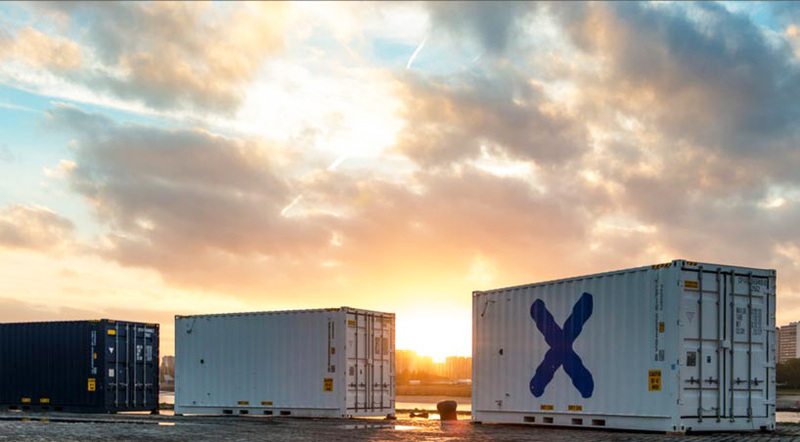 Sleeping Around uses these qualities to offer a range of traveling experiences that employ an effective supply-and-demand model; the shipping containers can take refuge in the countryside or thrive in a stimulating city center. the crux of the business model is that visitors can request a site with something that static architecture may not be able to offer– namely, unique views or fantastic hidden locales. the hotel, for example, has spent some weeks on the banks of the scheldt in antwerp with a view of st anna’s beach, and is now on the move. in the five months it has been open, ‘sleeping around’ hotel has traveled to three locations and successfully accommodated over one hundred visitors. travelers can check back periodically to see if the hotel has moved to an area of interest and enter the location into a GPS device to find it. Sleeping Around hotel can be set up and fully functional within 5 hours of arriving at a location. Sleeping Around comprises 7 shipping containers, 4 for hotel rooms, and the other 3 containers function as a breakfast and lounge area, a sauna and a kitchen. All containers feature an openable side with sliding glass doors. Each of the 20-foot room container comes with a a bed, en-suite bathroom and shower, iPod docking station and HVAC system. Shipping containers are of course an ubiquitous and common sight on any port around the world. In line with the growth of global trade, there are more of them sitting idly at docksides and logistic parking lots. Plenty of them get disused and it is too costly to ship them back to their place/country of origin. The vast majority of them are scapped for their steel, but they do have excellent architetural elements and present an opportunity for designers to be ecologically responsible. Sleeping Around hotel comes with its own water system and is adaptable for the additional use of solar or wind energy when required, making it a truly self-sufficient and sustainable building. This entry was posted in Belgium, Eco Matters, Eco-Responsible, Sustainability, Sustainable Tourism, Sustainable Travel and tagged Green Architecture, Green Design, Sustainability. Bookmark the permalink.